Ensuring soils are ‘healthy’, especially when faced with the prospect of more extreme weather conditions in years to come, can help increase farm productivity, through improved yield and quality of grass and forage crops, and the associated improvements to livestock performance. But what is meant by ‘healthy soils?’ Niels Caulfield, soil health advocate and adviser, says the first step to understanding whether your soil is healthy or not is observation. 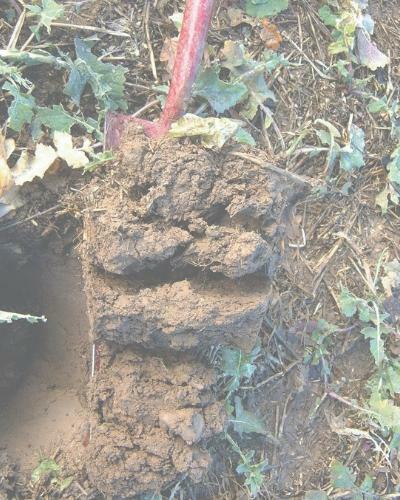 Farmers are advised to dig out a spade-sized block of soil to a depth of about 30cm to make visual assessments, on a seasonal basis when soils are moist usually during spring and autumn. By breaking up soil into smaller structural units or aggregates (soil clumps) you can then assign the soil a score (see pictures of different soil scores, right). A score one or two soil is ‘good’, a score of three is ‘moderate’, and four or five is ‘poor’ and requires management action. 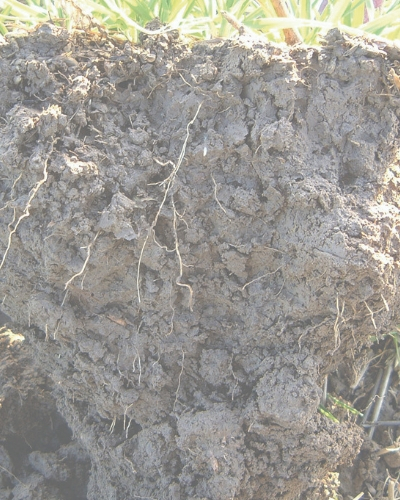 Chris Duller, independent soil and grassland adviser, says it is important farmers get familiar with their soils, but also with what they need to be looking for. He says: “I always advise starting off digging a hole in what you know will be a problem area, such as a gateway, so you can become familiar with signs of damage to soil structure. Then move onto different areas of the field to build up an idea of what the situation is.” (See ‘How to soil test’ below). Once you have a handle of soil structure, Mr Duller says the next step is to look at soil chemistry, which he believes is where the biggest gains can be made. Soil testing will help identify nutrient (phosphate, potassium and magnesium) availability; the results of which can be used to formulate a nutrient management plan to match nutrient inputs to crop demand. For fields regularly cut for hay and silage, guidance suggests takingsoil samples every three years, and for fields which are grazed and historically have optimum fertility levels, soil sampling can be done every five to eight years. Dr Liz Genever, from AHDB Beef and Lamb, advises soil sampling at the same time of year each time it is done, and also says samples should be taken at least two months after manure, fertiliser or lime is applied. When it comes to soil biology, soil organic matter (SOM) is vital as it provides the energy for soil life. SOM breaks down to form hummus, which plays a crucial role in supplying nutrients for crops and creating a good environment in which they can grow. There are a number of ways to assess how biologically healthy a soil is, and SOM tests are valuable when SOM may be low. She says the number of earthworms visible is also strongly linked to the amount of moisture in soils, so she says it is important to dig holes for soil testing when conditions are right. The 2018 grass growing year has been particularly challenging, and with long-term trends predicting warmer conditions and more extreme weather events in the future, livestock farmers are being advised to look at how alternative forage crops might help future-proof forage options. Mr Duller says forage crops with deeper rooting capabilities, such as chicory and red clover, should play a part in future cropping plans. However, Dr Genever says these alternative crops are still dependent on having the correct soil structure, chemistry and biology. She says: “It is also important to make sure the approach to these deeper rooting varieties is balanced across the farming system. 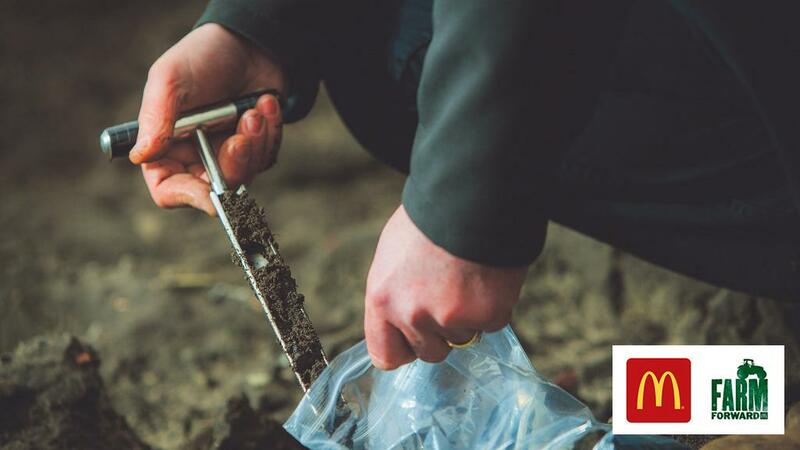 With annual average temperatures rising in the UK since the 1980s, it is important farmers maximise their soil’s potential by understanding how healthy their soils are, and making the necessary management decisions. And by looking at other options for forages, they can also help mitigate future weather-related issues. For more information on categorising soil scoring and what to do next visit here.